Lamayuru monastery is a Tibetan Buddhist monastery in the Leh district of India on the Srinagar-Leh highway. 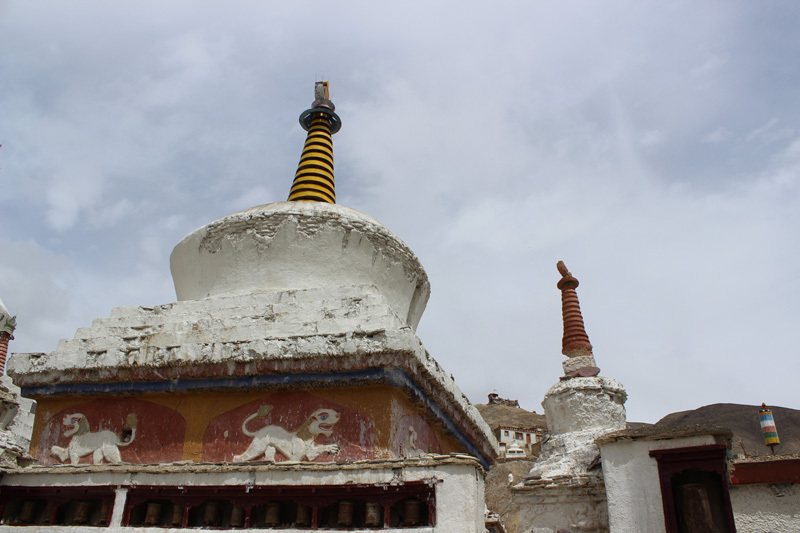 Situated at height of 3510 mts this Monastery was built around 11th century and is one of the oldest surviving Gompa or monastery in the region. It is said that at its peak time in the past the monastery used to house more than 400 residential monks. But currently has around 150 permanent resident monks who mainly study religious scriptures and rest of the monks are now based in other gompas in surrounding villages. 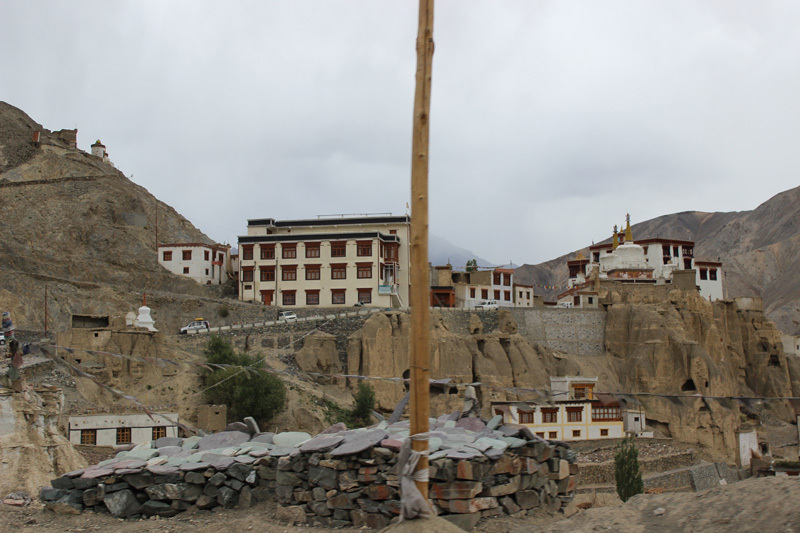 An interesting story around this monastery revolved around a folktale on a 16th century Ladakhi King named Jamyang Namgyal, who got cured of his leprosy by a monk from Tibet. The king showing allegiance to the monks bestowed Lamayuru gompa to the ‘lama’ who cured him of his leprosy. The king then declared Lamayuru village and places around it, a sanctuary where no one could be arrested and no taxes would be collected from it’s resident. 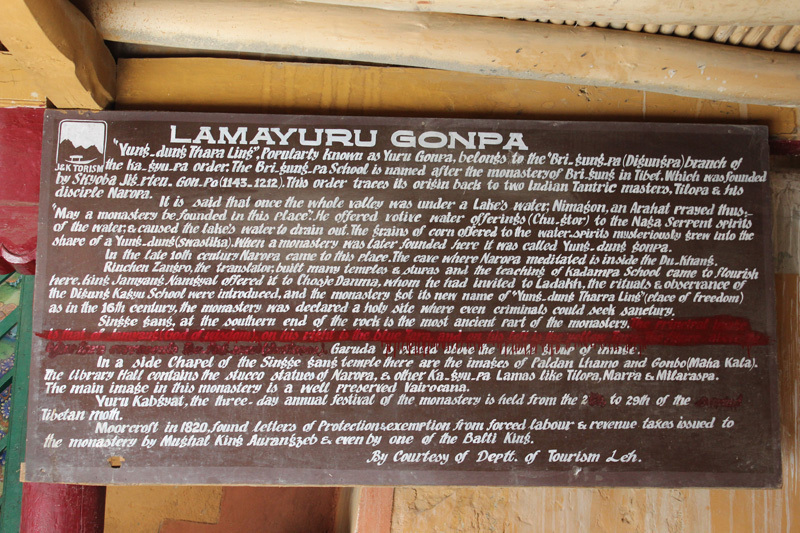 Eventually thereafter this place, Lamayuru started being considered as the ‘Tharpa Ling’ or the ‘Place of Freedom’. Thus, the holy city of Lamayuru, started enjoying a special autonomy in whole of the Ladakh region which no other monastery in the region currently have. The monastery originally consisted of five buildings but only the central one still stands today. 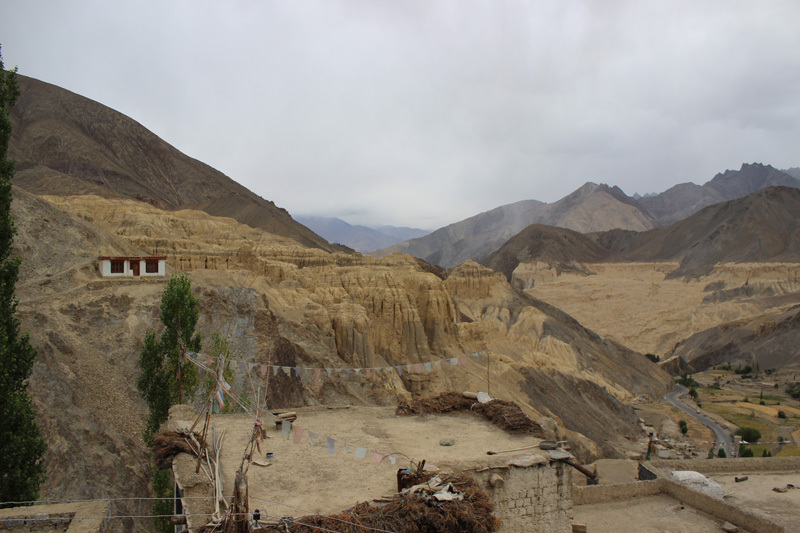 Even though only a small part of the Lamayuru monastery survives, the place is still quite large. 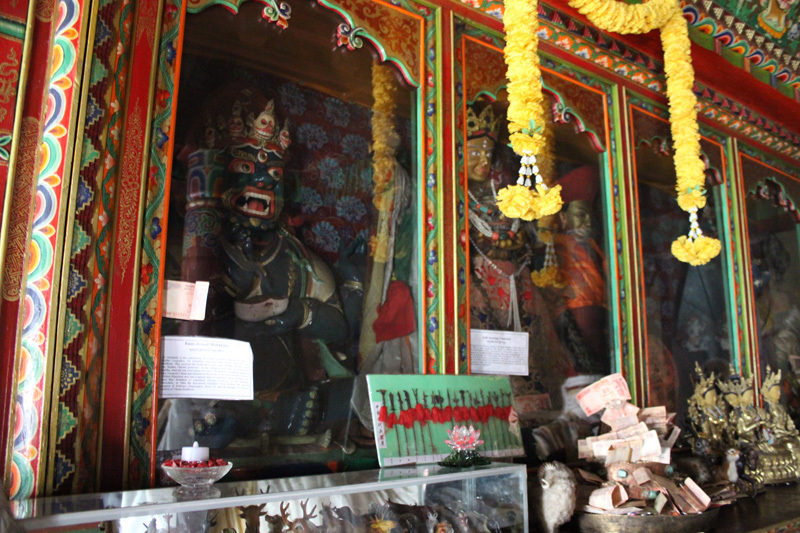 Though most part of the monastery are currently out of bounds, the main prayer hall is the only part in the Lamayuru monastery which is accessible to the travelers. 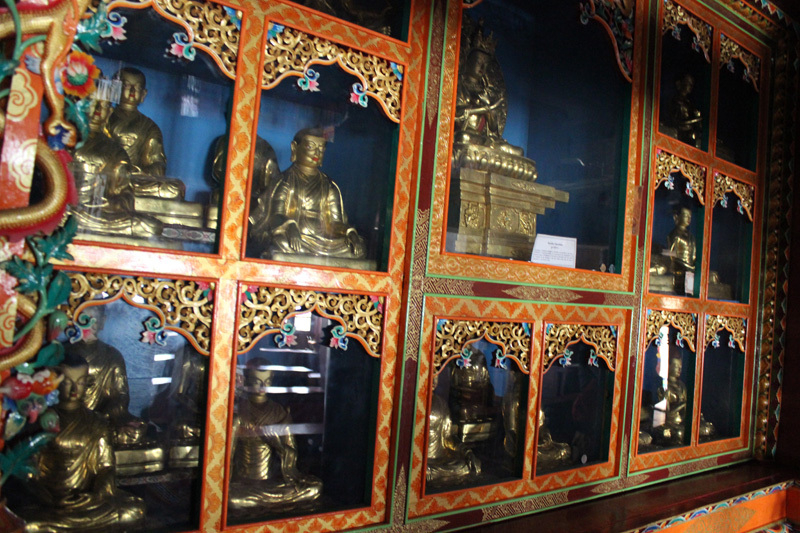 The walls of Lamayuru prayer hall has been adorned with many old wall paintings and have some extremely old Buddhist scriptures on its display. Besides the monastery there is a cave which is named after Naropa and is called as Naropa’s cave. It is said that at this place Naropa used to meditate. It also attracts tourists for its typically astonishing landscape, which is very much similar to the terrain as can be seen on the Moon surface. 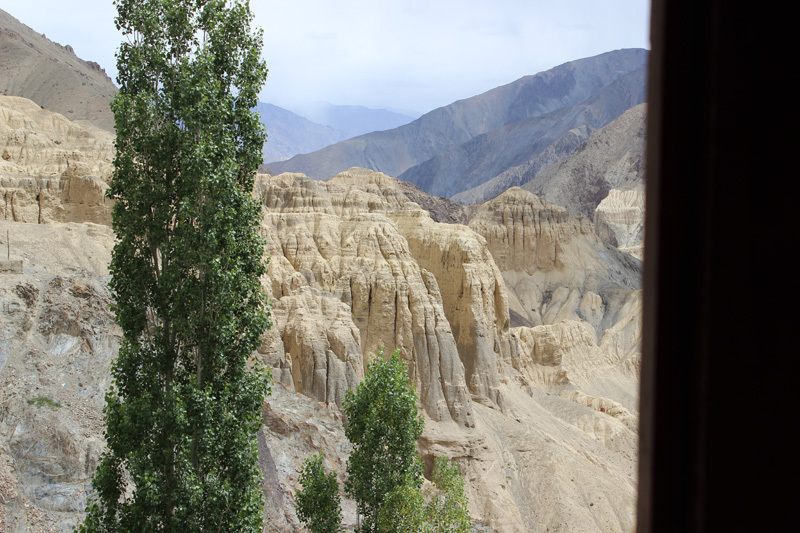 Though this monastery is at a remote destination along the busy Srinagar – Leh Highway, its landscape is an all time favorite with photographers and trekkers alike . Lamayuru is also famous for the annual festival of Yuru Kabgyat. It is a two day cultural festival that take place in the 2nd month of the Tibetan lunar calendar. Festival is otherwise also known as the mask festival and is celebrated with tremendous pomp and enthusiasm. The Yuru Kabgyat dance consists of Chhams in which the monks with large colorfully colored plastered paper mache masks form a circles and dance on the beats of daman drums, cymbals and long pipes called Surna. Many international Buddhists monks come exclusively from various countries like Japan,China, Tibet and South Korea just to attend the festival of Yuru Kabgyat. Another important ritual that is followed during this festival is the burning of effigies which symbolizes the destruction of the ego inside every individual of the world. Best Time to visit is in the months of May till August. The days during these months remain quite warm and comfortable to visit. To reach there one will need to fly to Leh city between May to end of August. The Leh Airport is well connected with most of the major International and domestic airports in India. Else can reach there on private vehicles while on way from Srinagar to Leh city. Google map distance of Lamayuru Monastery from Kargil : distance is 100 kms. 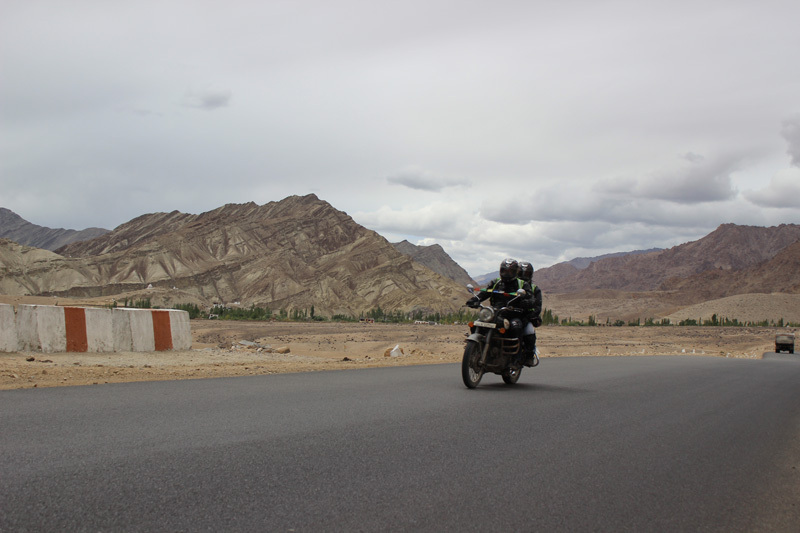 Google map distance of Lamayuru Monastery from Leh : distance is 115 kms. Google map distance of Lamayuru Monastery from Srinagar : distance is 310 kms. Google map distance of Lamayuru Monastery from Manali : distance is 600 kms. Though there are not much decent accommodation facilities available , but you can easily find homestay and some local Hotel/ lodges to spend a night if you have planned for it. The charges may vary from Rs 1500 – Rs 2000 per night for lodges and Rs 200- Rs 600 for homestay facilities. However I will advise to make a night halt at Kargil where the quality of Hotels and it’s availability is pretty decent then at Lamayuru itself. 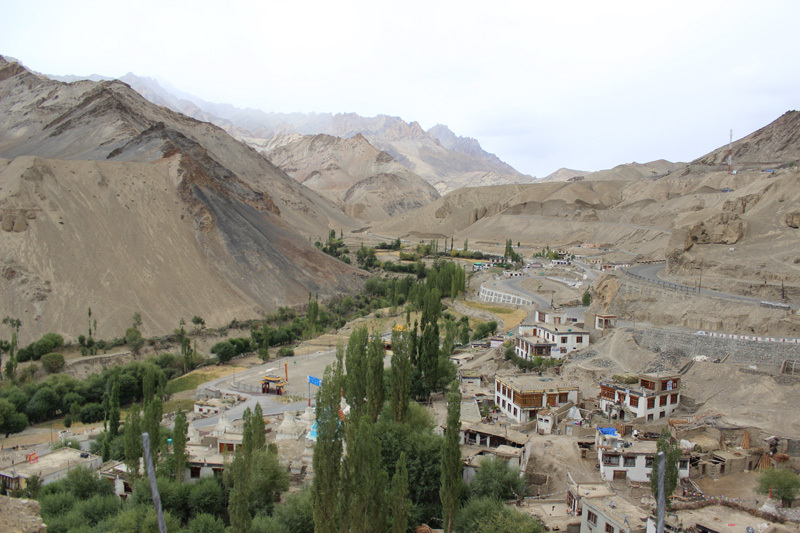 And it is advisable to visit this monastery while on Srinagar- Leh highway, en-route to Leh city. It may not take more than 2-3 hours to visit the whole of Monastery and its adjoining areas. More details can be found here.